Mt. Kenya Circuit | Best of East Africa Private Safaris, Kenya wildlife safaris, african safari holidays, tanzania safari packages, tanzania safari tour, safari tours, adventure holidays, wildlife tours, sabi sands, luxury safari, savanna private game reserve, wildlife safari, wildlife holidays, luxury african safari tours, african safaris for Australian. Use the form below to contact tour Mt. Kenya Circuit directly. Mt. 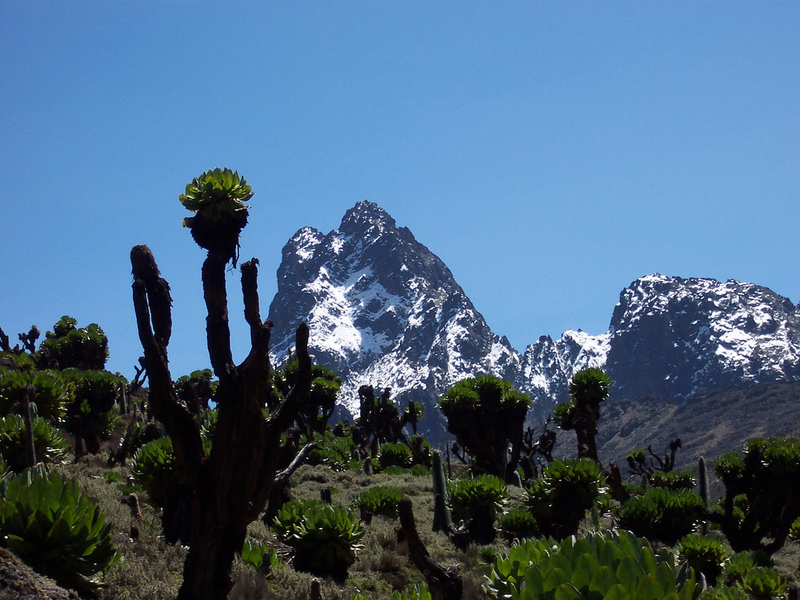 Kenya is the country’s highest mountain. It is an extinct volcano which formed a couple of million years ago. Sitting astride the equator, its icy summit reaches to 5,199mts(17,058 ft). The entire mountain above the 3,200mts contour is designated as a national park. The mountain consists of three principal zones; the rocky peak area, which is actually an eroded volcanic plug with its mantle of glaciers and snowfields; the alpine zone with its distinctive giant vegetation and the vast gentle lower slopes drenched in mountain forest and bamboo jungle. The mountain is located 180 kms north of Nairobi and on a clear day it can be seen from high rise buildings in Nairobi city and Thika town.